I see AAPL is at about $147 per share today. Not too shabby for a deep recession. Steve Jobs is back at the helm after a successful liver transplant! That was a surprise for everyone but seems to have come out for the better. I’m relieved and hope to see him live a long life. He’s only 54 after all. While Steve was on a leave of absence, the Apple machine showed no signs of distress. Perhaps this is because, Steve remained involved on major decisions and he’s hired an amazing team to carry out Apple’s groundbreaking initiatives. The new iPhone 3GS is looking to be a big success. I absolutely love mine. The improved camera hardware and software was worth waiting for. I don’t feel bad leaving my point-and-shoot at home anymore. The increased speed and extra memory mean you can flip between web pages and apps without a pause in the action. Voice control and the new compass add even more to the package. Don’t get me started on iPhone OS 3.0 which works on all iPhones and iPod touches. Did I mention the App store? The Amazing new Macbook Pro 13″ was a wonderful surprise. Starting at $1199, this Mac can’t be beat. And they gave us back the Firewire they took away when the unibody MacBook was released last October. Plus much increased battery life and a better screen. If I weren’t in love with my MacBook Air, I would have run to the Apple store for this one. In spite of some credible initial efforts from the Blackberry, Android and now Palm, Apple seems close to attaining the crown in the Smartphone space. That’s not bad after only 24 months in the market. Keep in mind that mobile is the next computing platform. We have Snow Leopard and new iPods coming in September. Rumors of a mini-tablet in October tantalize. Really glad to have these amazing technology treats to look forward to in these challenging times. It’s about time for an Apple update. The Expo is well behind us now and new Macs have been recently released. We know that iPhone 3.0 will be out by July. Here are the recent high points and things to look forward to. The Return of Steve Jobs? At Apple’s Annual Meeting on Feb 25th, spokes people seemed to hint that Steve was returning and was in communication on a regular basis with Apple’s board and key execs. My take is that Steve’s health situation is serious enough that we can’t count on him to fully recover. In fact, he may not make it. But, he can afford the best medical care and is making his health priority one. He has a lot to live for. If his health is good at all, he’ll be champing at the bit to get back full-time to Apple. I sure hope he comes back soon. There are iPhones everywhere I go. There are bajillions of iPhone apps and some of them are quite good like Tweetie, Evernote, Fieldrunner and Todo. Apple keeps improving it – they are finally releasing cut-copy-paste. I love my iPhone. A new, faster, more capacious (32gb) iPhone with a better camera is rumored for release in June or July. Here’s the competition in order of strength: Blackberry, Palm Pre, Google’s Android phones like the G1, Nokia, Windows Mobile phones. Palm Pre looks hot but pre-release, so Palm has a lot to prove. The Blackberry Storm, released in November, was a disappointment. The first Android phone, the G1, is OK but development of the platform has been disappointing to observers like engadget and gdgt. Nokia’s Symbian platform lags technically even though Nokia dominates the smartphone market. Mac Update. Yay for the upgrade of the Mac mini. The updates of the iMac and Mac Pro were good but mostly speed bumps with decent pricing. A lot of people hoped for even lower prices to suit the economy but that didn’t happen. I look at that as a sign of strength on Apple’s part. New iPod Shuffle. I do like the new iPod Shuffle, by the way. What I like is the introduction of additional functionality via voice feedback. This innovation opens up a whole new avenue for gadget-human interaction. I hear it is well-implemented too. Multiple playlists are now supported. Rumors of a mini-tablet or 10-inch notebook. I vote for the mini-tablet but since it is a new form factor am afraid the odds favor a smaller version of the macbook air that somehow manages to be cheaper. Not sure that is possible. 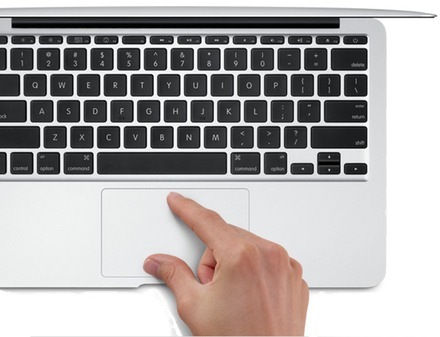 Maybe it will be more like a small version of the Macbook. What I want is something the size and weight of the Kindle for $800 or less — hopefully less. Rumors have it that a device like this might possibly appear between August and October. Or maybe a netbooklike device will come out. I’m happy with my full-sized Macbook Air, so am not netbook-inclined. 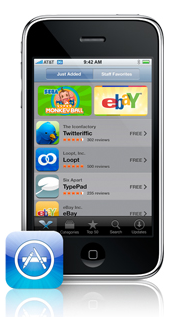 iPhone 3G + App Store + Booming Mac Sales. Despite turbulence at the simultaneous launch of the iPhone 3G, App store, iPhone 2.0 and MobileMe, Apple is going gangbusters. But, the number of problems occurring in recent weeks may be a new record for Apple. A lot of people (including me) believe that Apple was getting overconfident. They started believing they were infallible. Now they know better. On the bright side, though, Apple is disrupting and raising the bar in the industries they’ve chosen to participate in. They are making a difference that I and many others appreciate. Ultimately, I attribute the innovation Apple has achieved to: opportunity, vision, people and passion. 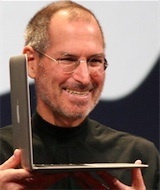 In the late 90’s, after Steve Jobs came back, Apple started a concerted effort to gain marketshare for the Mac. This wasn’t easy but they attacked the problem with relentless gusto and creativity. Steve assessed his competition (Microsoft) as formidable due to extreme marketshare dominance. But, he saw a long-term opportunity when comparing the technical potential of OS X vs. Windows. Jobs bet on Apple’s technology, team, vision and design sense. The least that could be achieved was survival as the BMW to Microsoft’s Ford. 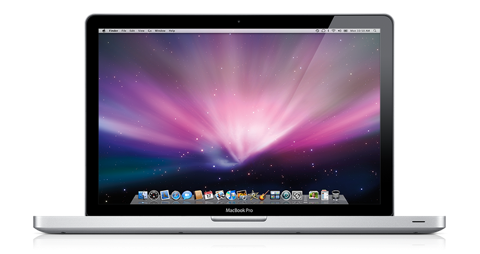 The massive undertaking of launching and realizing the potential of OS X was carried out successfully. The iPod, a whole new product initiative, was orchestrated to great success and segment dominance. Apple’s success with the iPod gave them the wherewithal to try an even more ambitous project: the iPhone. It took three years to bring iPhone to market. In the meantime, Apple pulled off a complete switch to Intel processors from the PowerPC chip architecture. Steve said Apple needed Intel’s planned low-powered chips to drive growth in smaller computer devices. We are still seeing the fruits of this transition. 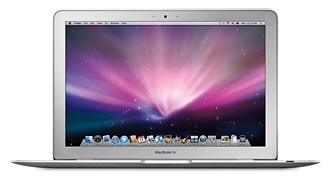 The MacBook Air is an example of a smaller device that uses Intel’s low-power chips. Lots of people are hoping for a tablet Mac or a large iPod touch in the next year. This seems likely now as other smaller devices are gaining some traction. The EEE PC, Nokia’s N810 and the PSP all may be carving out a spot for better devices made by Apple. Right now, the iPhone has center stage and looks poised to radically alter the cell phone industry as we’ve come to know it. Leading tech pundit, Walt Mossberg, has taken to calling the cell phone, the device formerly known as the cell phone. The phone part of the iPhone is the tip of the iceberg. Apple announced in March that it will begin a campaign to sell the iPhone into corporations, supporting Exchange and addressing the issues corporate IT deem deal-breakers. The App store introduced in July with over 1300 applications at last count seems to make the iPhone into a platform. The battle for dominant mobile platform is not over, but Apple currently occupies the front-runner slot. Lastly, Macs are selling 3 times faster than PCs these days. Apple is taking PC marketshare quarter by quarter. There’s more to say but you get the idea. I’ve got some gripes with the stability of iPhone 2.0 software and MobileMe, but I’ll get over it and those problems will be addressed. Meanwhile, I’m absolutely in love with the App store.